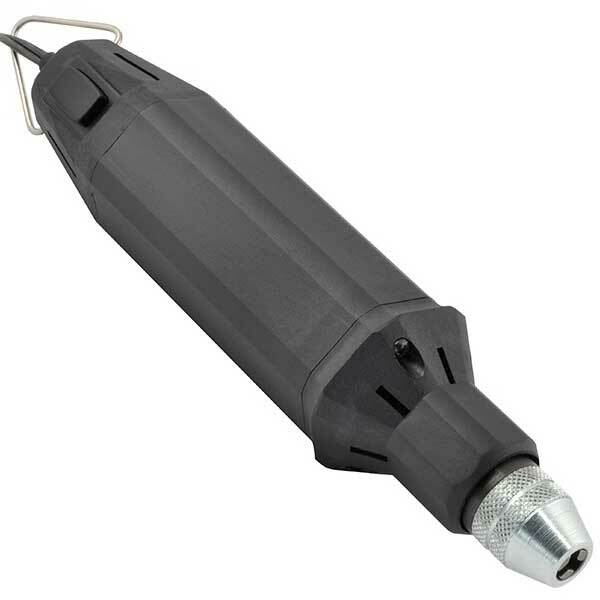 Similar to tools used in industrial assembly work, the Micro-Make™ Power Screwdriver combines an internal reduction gearbox and powerful reversible motor to deliver 12.5 foot-pounds of torque at speeds from 240 to 2,500 rpm. Features a precision chuck with 1/64” to 1/4” diameter capacity, ideal for slow speed drilling of materials such as plastic. Includes 1 flat bit, momentary push-button power switch, reversing switch, hang up hook and 44” cord. Specifications: weight, 6.4 oz. ; length, 6-3/4 inches; speed 240 - 2,500 revolutions; motor, 12VDC, 2.5 amp.